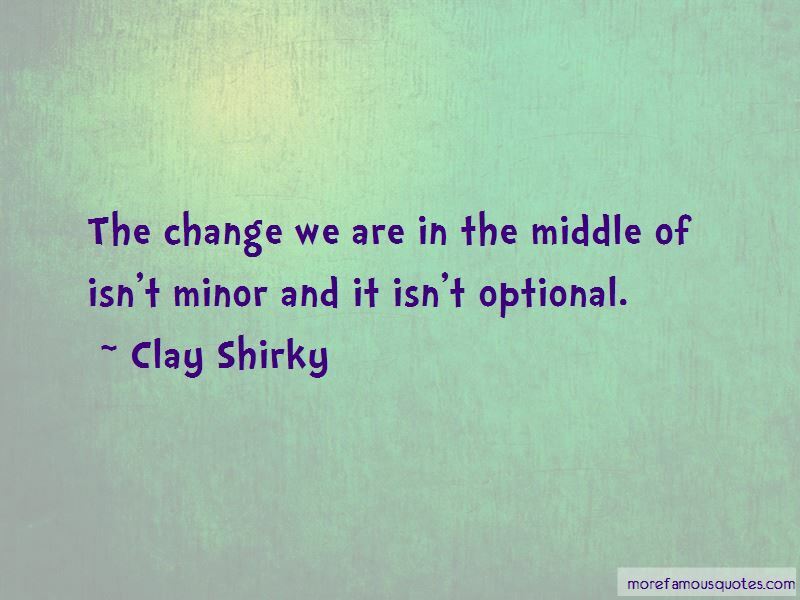 Enjoy the top 139 famous quotes, sayings and quotations by Clay Shirky. A Wikipedia article is a process, not a product. It is our misfortune, as a historical generation, to live through the largest expansion in expressive capability in human history, a misfortune because abundance breaks more things than scarcity. The centrality of group effort to human life means that anything that changes the way groups function will have profound ramifications for everything from commerce and government to media and religion. The simplest answer is that the user had access to reality-every company builds a bubble around itself, where the products get built and tested in a more controlled environment than they get used in. This is especially true of complex software. What the early users enabled Xiaomi to see was how MIUI actually worked when real (albeit unusually technically proficient) people tried to install it on a wide variety of devices. The basic capabilities of tools like Flickr reverse the old order of group activity, transforming 'gather, then share' into 'share, then gather'. The Dean campaign had accidentally created a movement for a passionate few rather than a vote-getting operation. There are three things you need to be a good writer: you need to read a lot, you need to write a lot, and you need a lot of feedback. Multi-taskers often think they are like gym rats, bulking up their ability to juggle tasks, when in fact they are like alcoholics, degrading their abilities through over-consumption. 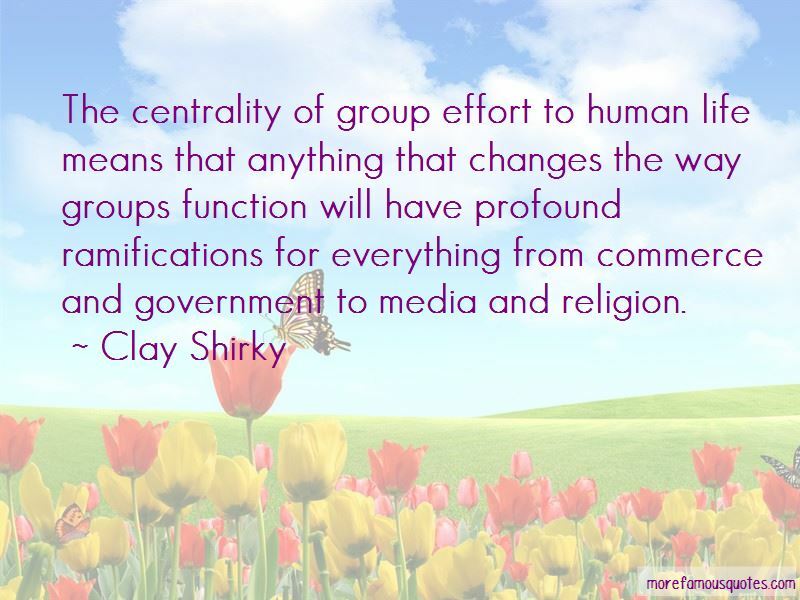 Want to see more pictures of Clay Shirky quotes? 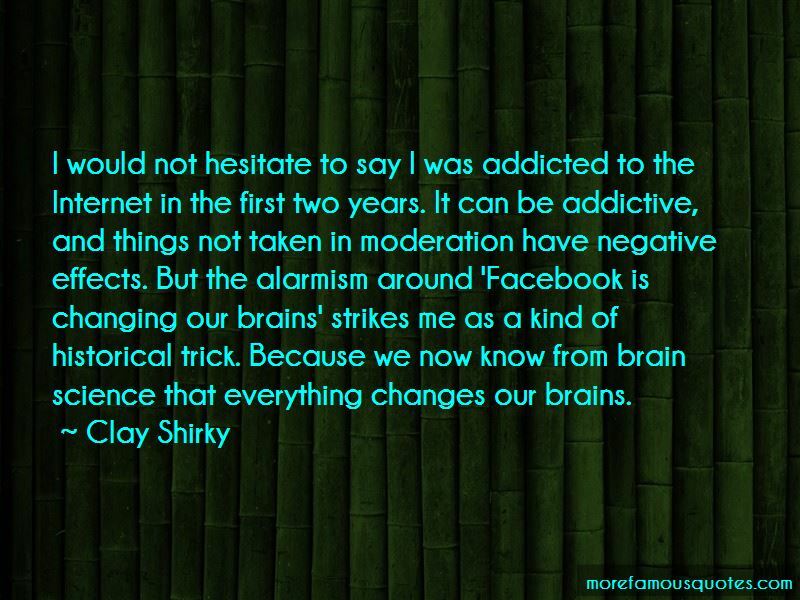 Click on image of Clay Shirky quotes to view full size.